I was born in Baltimore, but my family relocated to New Jersey when I was still a young child. However, my father’s family members are long-time residents, so I continue to have close ties with the city. I decided to set my latest story in Baltimore and have been immersing myself in Charm City’s history. What a fascinating project it has turned out to be! The majority of my career was spent outside of Washington, DC in the Northern Virginia area where I worked for several of the “Beltway Bandits,” companies who contract with the Federal government. My first corporate job was with Boeing Computer Services (a division of The Boeing Company.) One of our competitors in bidding for projects was Martin Marietta (now Lockheed Martin). 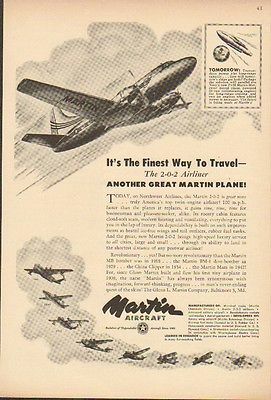 I was intrigued to learn that Martin Marietta was the result of a merge of the American Marietta Corporation and the Charles L. Martin Company, a Baltimore-based aircraft company. Born in 1886, Martin was an aviation pioneer. He designed and built his own planes, and in 1912 founded his own company in California. He had great success during WWI with several bombers and won the coveted Collier trophy in 1932. So how did he get to Baltimore? 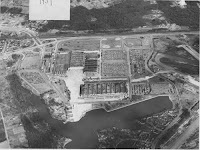 The Maryland Industrial Bureau approached him in 1925 to relocate his company to the Maryland. They were recruiting companies who could come and create jobs within the state. It took three long years of negotiating, but Martin finally moved his factory to Middle River in 1928. During WWII, the factory was responsible for producing bombers, the most famous of which is the B-26 Marauder. Authorities were worried that the plant would be bombed by the Axis powers, so the 603rd Camouflage Engineer Battalion was given the order to make it “disappear,” at least from the air. With the use of netting and other materials, the area was made to look like the surrounding fields. Truly a magical feat! It was the GLENN L. MARTIN Company, not Charles.